As part of an MAT class, I created a lesson plan that deals with Alaska and culture. I created a multidisciplinary lesson that can be used in a few different disciplines or it can be used to bring different subjects together. The disciplines that it covers are Art, Art History, Alaska History, and Geography. The lesson is divided into three sections: a history and geography section, an art production section, and an assessment and discussion section. During the first part, students will examine and research the regional boundaries of Alaska. They will work in groups and find similarities and differences about the regional artwork in Alaska. Some differences that students will be looking for are the resources that are available in the different parts of Alaska and how that potentially influences that region’s style of art. In the second part of the lesson, students will create a 3D art piece using art “resources” that are provided to them at each table. The class will be divided into five to seven groups. Each group or “region” will have to trade with neighboring regions to acquire enough resources to complete their art project. The type of art price created may be up to the individual students and may or may not be influenced from some of the Alaskan art that was found in the research. The third part will be a student-led group discussion, where students discuss the connections that each region/group made in order to obtain the necessary resources for their art project. The class will also explore other trade and influences that are made within their local community and around the word. This will be their final assessment. With this assignment, I am covering at least two Alaska Cultural Standards. Standard B: A culturally-responsive curriculum recognizes cultural knowledge as part of a living and constantly adapting system that is grounded in the past, but continues to grow through the present and into the future. Standard D: A culturally-responsive curriculum fosters a complementary relationship across knowledge derived from diverse knowledge systems. Incorporating the above standards into my lesson, I have added the exploration of art in Alaska by region and also the resources in each region that influence the type of artwork that can be created. I also have the students look at the trade and interaction that happens between each region and between external sources like Russian and UAS. Later in the lesson, I have students look to local resources and how that can impact them on a personal level. 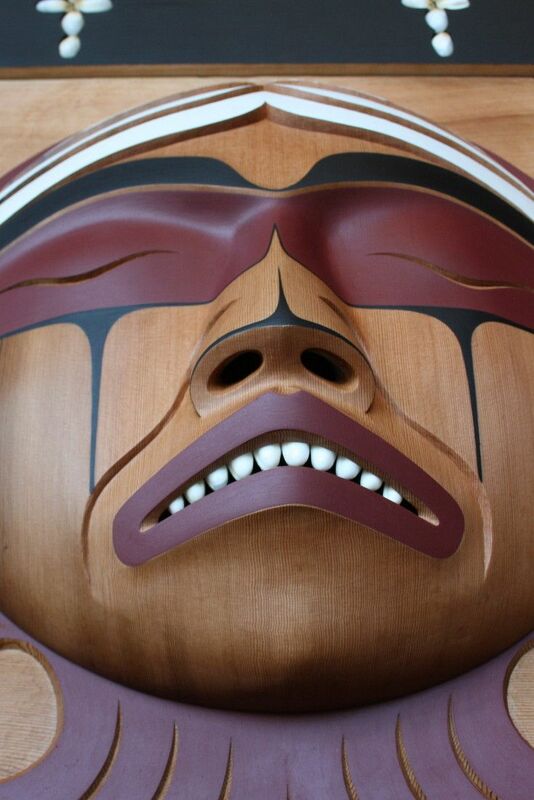 While looking at the Native Alaskan art, there are elements of the art that continue from past cultural knowledge and other elements that are adapted from the changing trade interactions. This lesson also parallels Alaska Native art from the past and modern art by comparing the two. In creating the art piece for the class, students will also combine knowledge from the research on Alaska Native art and with the current art that they may be more familiar with. I am excited to implement this lesson in a real classroom setting. I have talked to other teachers about this lesson and they have said that they would like to use this in their classroom. This gives me a little hope that I am on the right path. I’m sure that there are some changes and adjustments that are needed but I understand that nothing is perfect and there is always room for improvement. David, I love your lesson plans and how they fully integrate art, history and geography. I’d love to see this in action! Cool, man, I like the various steps involved in the projects especially utilizing the resource in the community, which very much incorporates that standard into your lesson plan. The trade and cooperation component between groups is GENIUS! I would have LOVED this lesson as a student.